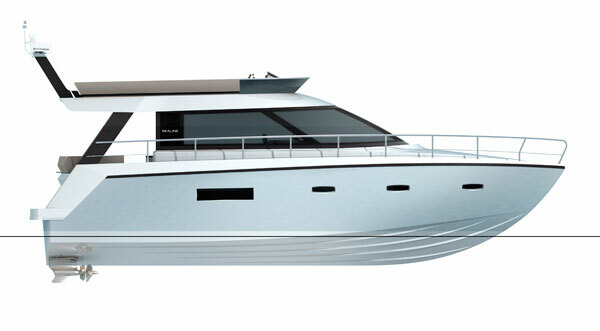 Sealine have released plans of their new F42 flybridge cruiser, due for launch at the 2010 Southampton Boat Show. The current F42/5, the new F42 offers unrivalled space for entertaining throughout the craft, whilst building on the practical cruising capabilities of the hugely successful F42/5. The F42 has a significantly larger flybridge due to the extended design first offered on the F46 (launched in September). There is space for six to dine in comfort around the large dining table, plus the ability to create a large sun bed aft by simply folding down the backrest on the rear seats. There is a central double helm, two further forward facing seats, a large cool box and spacious storage locker. There are two cabins, offering five berths as standard with the luxurious master cabin located forward. A bonded skylight above the bed provides extra light and a wonderful feeling of space. This cabin offers full length hanging storage as well as plenty of general storage capacity. The forward cabin has separate ensuite shower and toilet compartments. To provide additional space and privacy the F42 offers a second cabin amidships, that can be configured either as a triple, twin or double. The second cabin also offers an ensuite shower and separate toilet with a skylight. As with the master cabin there is full hanging space and plenty of storage. Bonded cabin windows provide extra light as well as waterside views. There will be the option to have additional storage in the mid cabin in lieu of the third berth. The spacious interior is characterised by the hand crafted furniture used throughout which has been finished in washed walnut with solid walnut accents. The colour palette for the soft furnishings is earthy with fruit overtones. There will be even more storage on the new F42 than on the F42/5 with the new boat building on the strengths of its forerunner. 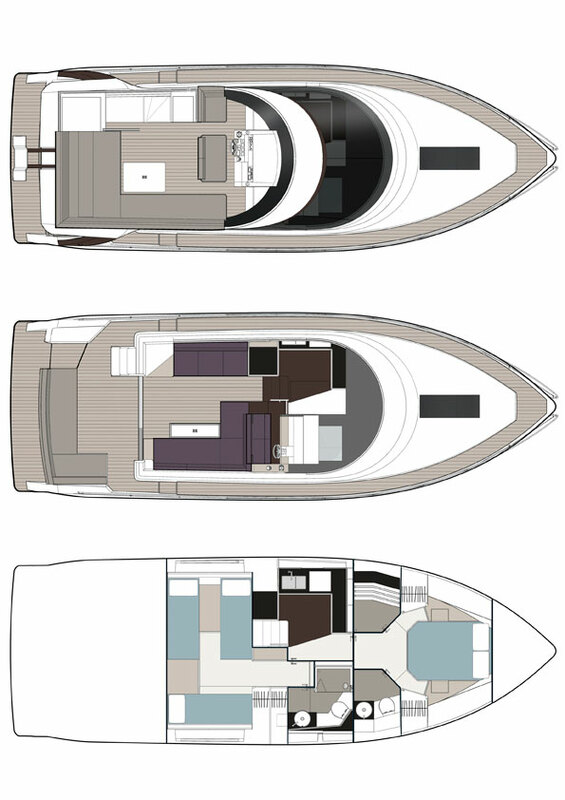 All the benefits from the F42/5 have been incorporated and expanded upon with the new design – from storage to seating areas, to large entertaining spaces in the cockpit, saloon and on the flybridge. The new hull is based on the proven design concept developed for the SC47 and F46 and will be priced at around £ 313,000 for the standard model excluding VAT when fitted with twin Volvo Penta IPS500 (740 BHP total 2 engines). The boat will also be available with twin Volvo Penta IPS600 (870 BHP total 2 engines). If this is anything like the F46 then its sure to be a great sports fly, Fairline are certainly making some great boats lately, the New 58 Targa is fantastic too and nice to see its your boat of the month WSB, keep the good reviews coming! Fantastic Review, I’ll be coming back to you much more frequently now.. This is definitely a fantastic blog site which helps me to have much more details on the new boats coming. I have subscibed and looking forward to lots more thanks WSB.